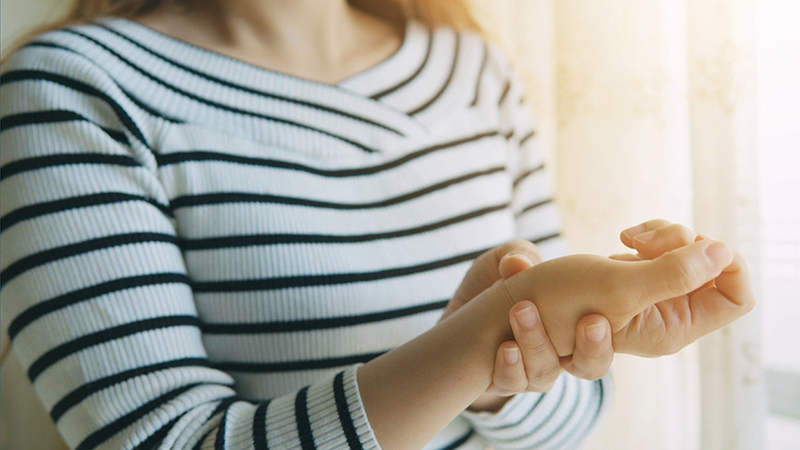 New American research has found that at-home acupressure could help women relieve some of the side effects of breast cancer treatment. Carried out by researchers from the University of Michigan Rogel Cancer Center, the new study looked at the effect of acupressure on symptoms experienced by breast cancer survivors after treatment had ended, including chronic pain, anxiety, depression and poor sleep, which all commonly accompany fatigue. Acupressure is derived from traditional Chinese medicine and involves applying pressure with fingers, thumbs or a device to specific points on the body. Two types of acupressure were included in the new research, which target different points on the body to produce different effects: relaxing acupressure, which is traditionally used to treat insomnia, and stimulating acupressure, used to increase energy. The researchers recruited 288 patients who reported symptoms, in addition to fatigue, and asked them to report weekly about their fatigue, sleep quality, depressive symptoms, anxiety and pain. The women were also randomised to one of the two types of acupressure, which included being taught how to find and stimulate the acupressure points so that they could perform it at home once per day for six weeks, or to usual care in which they received sleep-management techniques. The findings, published in the journal JNCI Cancer Spectrum, showed that after the six weeks, relaxing acupressure was significantly more effective at improving depressive symptoms and sleep than stimulating acupressure or standard care. In addition, both types of acupressure were more effective than standard care for improving anxiety, severity of pain and pain interfering with daily life. “It was actually unusual for a woman to have just fatigue. These long-term side effects are a big problem. “For some women, they are significant barriers in their life,” says study author Suzanna M. Zick. “If you have a person who is fatigued and depressed, it would be the obvious conclusion to use relaxing acupressure. “For anxiety or pain, either approach might work,” she added. The researchers also investigated whether improving one symptom might actually help improve other symptoms, finding that improving symptoms of depression improved sleep quality, which accounted for about 20% of the improvement in fatigue. “That means we don’t know 80% of what’s impacting fatigue. “Depressive symptoms and sleep quality are a small part, and it makes sense. But clearly, there are other factors,” Zick says. The researchers also reported back in 2016 that acupressure could help reduce fatigue in breast cancer survivors, although until this study, they had not investigated its impact on other side effects. They added that the new findings show that acupressure may not only be an effective treatment, but also a simple and low-cost one, as it can be done at home fairly easily with minimal negative effects. Good News - Every Bit Counts When it Comes To Exercise! Why Radiate the Whole Breast When You Don’t Have To?